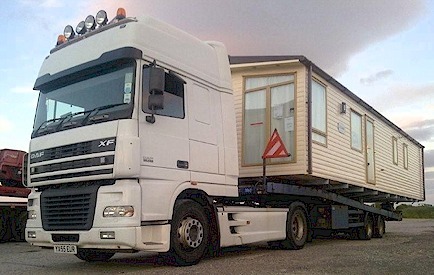 All makes of new caravans supplied. Selection of 1, 2 and 3 bedroom pre-owned units always in stock. All prepared to a high standard. Current stock list available on request. All units are gas, electric and water tested before dispatch. Trade-ins accepted. Amongst the services we offer is Caravan Transport, using our custom built vehicle we can transport your holiday home to or from any location within the U.K. including the Western Isles. We offer a prompt, reliable fully insured service. Contact us for a competitive quote.